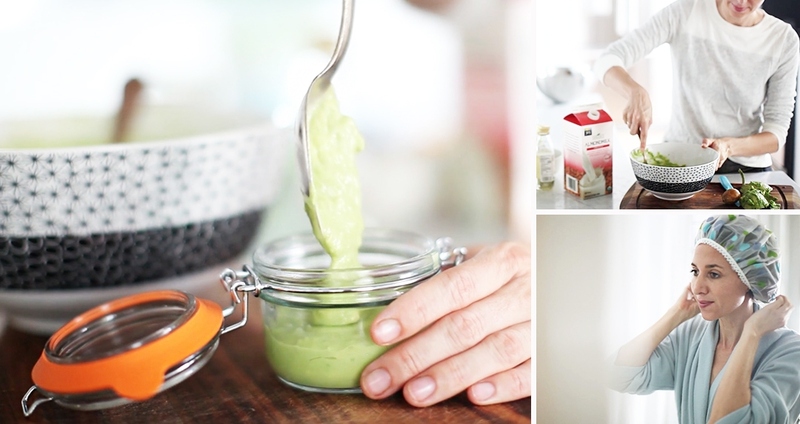 Our friends at LEAFtv have created another easy DIY beauty solution. We like that you can use avocados that have gone brown or mushy. According to LEAF, avocado has loads of healthy fats that give your hair all of the nutrients that so many chemical-ridden products destroy. Combined with the almond oil, it will make your hair softer and smoother than ever. In a small bowl, mash the avocado and slowly add the milk. Mix until you reach a conditioner-like consistency. Add the almond oil and mix again. Apply to scalp and ends, leave on for 20 minutes, and then shampoo/condition as you normally would.